At building with bricks we’re not so into the current state of TV. 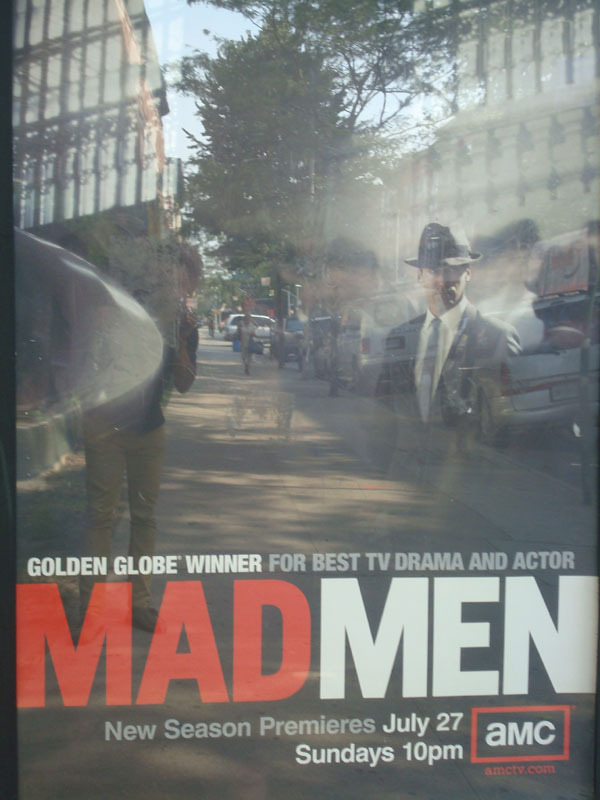 Reality shows, and old series rehashes seem to the rule the airwaves, but Mad Men has a special place in our hearts. The portrayal of the life and times of 1960’s ad man Don Draper has captured our minds, imaginations, and made it seem not so depressing to be a full grown man. Last season was an eye opener to the world of work before things like computers, copiers, and sexual harassment. When drinking liquor by 11 AM daily, before meetings,during lunch,anytime really, and smoking like a chimney were as right as rain. Now its coming back and we’re salivating like Pavlov dogs peep the videos to see why. ~ by MikelJason on July 3, 2008.